Protect your investment and take care of it. Better yet let us take care of it. 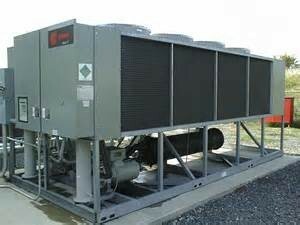 We have many services available to keep your home or business cool in the. summer and warm in the winter. Each one is affordable and curated to extend the life of your heating, cooling, and ventilation systems. Each services comes with our 100% customer satisfaction guarantee. There are so many things that could go wrong. 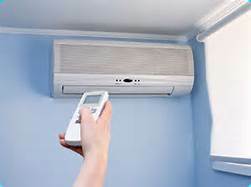 Many people do not think to have their air conditioning unit inspected and serviced. That is until something goes wrong and its ninety five degrees outside and the same in your house. Then its a mad dash to find a some HVAC technician. Now that you’re desperate, it doesn’t matter the quality, experience, or cost. Don’t wait until it is too late. Sign up for our A/C maintenance bi-annually inspection and maintenance. We take the worry away from you, all that you have to do is enjoy the cool breezes. Many home are heated by a process called hydronics or a boiler. f you use water to heat your home or office then you are using one of the best and accurate to heat your home or office. The way the heats radiates throughout the structure is more accurate than most heating systems. When It mean less fiddling with thermostat to get it. Just right. Technology has taken the efficiency of boilers to a whole another level. We have experience technicians that will inspect and clean your boiler. Checking for any damages or issues. Fixing and repairing it to ensure that you are able to enjoy it for many years to come. If it has been over a year since your last furnace tune up, now is the time to have it serviced. Our technician has a multi point inspection process. Each call includes having your furnaces filter replaced, all hoses check and replaced if need be, our tech will also make sure all wiring is up to code and properly done. That there has not been any corrosion over the years. Not to mention cleaning the motor, removing any debris, and oiling all moving parts. We recommend that everyone has their heating and cooling system inspected and saved at least twice a year. The filters ought to be changed once every month to ensure that the system is working as efficiently as possible. The quality of the air in your home is extremely important for you and your family’s personal health. The air that you breathe. We offer an air quality inspection that will let you and your family know how much unwanted particles are floating around and throughout the air that you breath. Your heating and cooling is responsible for recycling and filtering that air. If you have noticed an increased in sinus and allergy infections then call us to check out the quality of your home. We offer many different type of programmable thermostats. From our budget friendly and easy to use thermostat our high end app controlled thermostat.